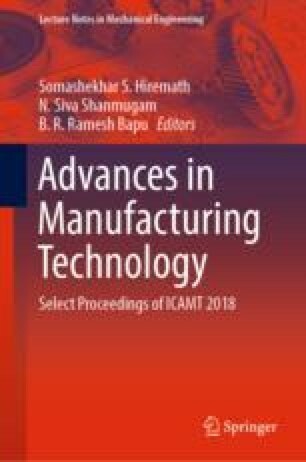 Aluminium matrix composites have improved mechanical and tribological properties due to the addition of reinforcements into the metallic matrix. The reinforcements improve tensile and yield strengths, elastic modulus, wear, fatigue and creep properties compared to the other monolithic materials. This class of material has a greater potential and finds vast applications in automotive, aircraft, defence and other industries. The objective of this work is to investigate the mechanical behaviour of aluminium alloy 2014 reinforced with aluminium oxide (Al2O3) and silicon carbides (SiC) particulates. The combinations planned for the study include binary which consists of aluminium2014-5% aluminium oxide and aluminium2014-5% silicon carbide particles. Also, hybrid reinforcement with composite has 5% each of aluminium oxide and silicon carbide particles in order to analyse the combined effect. Composite specimens were prepared using a liquid metallurgy technique, i.e. Stir casting. The specimens were prepared and tests were conducted as per ASTM standard. The result shows an increasing property with the introduction of reinforcement and hybrid arrangement. The tested samples were investigated utilising a scanning electron microscope (SEM) for the characterisation and correlated with the test results.